What HAVEN’T I been up to in 2017? Buying Bitcoin, that’s what. Otherwise I would have cashed it in and bought an island full of zombies as a private hunting ground for my friends and I. What I did (the stuff I can tell you about, anyway) was finish off the Ember Blade, write another book while I was waiting for the edits to get back to me, then edit the Ember Blade some more. Truly, it is epic in all senses, including how long it takes to go through and correct all the lazy similes, turgid sentences and bits that don’t quite add up. Currently it’s slated to appear in June 2018 and since I only have a couple more weeks worth of edits to do, I’m pretty certain that won’t change. But wait! Another book, did I say? Yes indeed, for I needed a palate cleanser after spending 2 years writing such a weighty tome, so I wrote a zippy book for middle school kids called JACK FROM EARTH. Think Hitch Hiker’s Guide to the Galaxy meets Star Wars. Knockabout fun perfect for the loved ones in your life too young and innocent to start on RETRIBUTION FALLS. 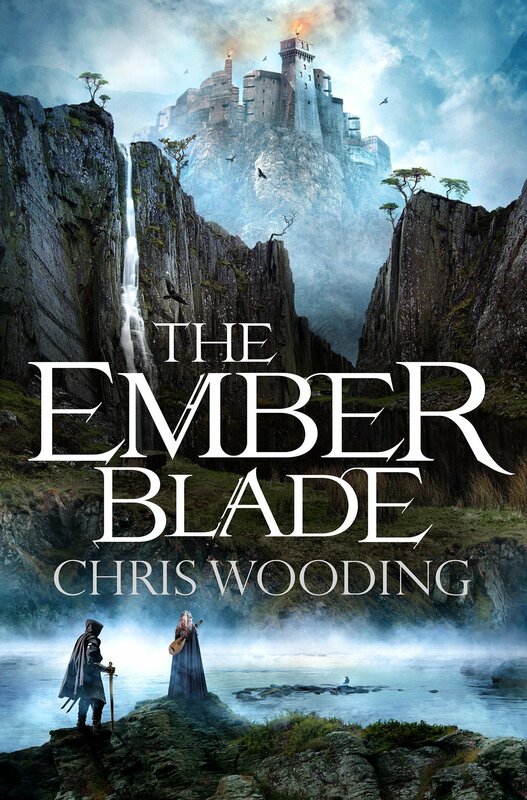 ETA currently unknown as we’ll get into editing it in Jan after I’ve done the final delivery of The Ember Blade. In scripty news I wrote the pilot ep for a TV adaptation of a bestselling YA series which may or may not arrive on your screens in due course. I did a bunch of other stuff that has to remain secret. Also I’m hoping to have some major news very soon about one of my own projects but then again, I may very well not. As ever, I’ll let you know as soon as something concrete happens. Also the stork brought another delivery which slowed things down a bit workwise, but was otherwise pretty ace. So that’s it from 2017. I expect 2018 will see The Ember Blade becoming the major publishing event of the century, just in time for the world to plummet into armageddon. See you later (shortly before I ambush you with a rusty chain and feast on your tender flesh). ← Broken Sky is back!!! AYE I’ve not been here in forever! Been too long, I say. HALLELUJAH. there’s a thing to look forward to in 2018!!! All my favorite series ended and there’s no news yet on new books for most of my favorite authors. Ember Blade sounds like it’s gonna be super rad. Also looking forward to Jack From Earth (I really dig your YA/middle school stuff). Happy New Years. Here’s too Ember Blade doing super well, the world not plunging into armageddon, and, uh, not feasting on people[?]. Your books have had a fair amount of influence on me and my writing, and you’re also accessible to your fanbase. So if you don’t mind me taking advantage of this and begging for writing tips, how do you develop a full plot when you write (it’s one of my weaker points and I need to reconsider my strategy)? Thanks in advance for when/if you answer, and please excuse any typos made (I’m a very sleepy human at the moment).